Yesterday an article authored by a veritable who's who list of obesity researchers was published in the New England Journal of Medicine. Titled, "Myths, Presumptions, and Facts About Obesity", it details what the authors describe as seven popular obesity related "myths", six common "presumptions", and nine understated evidence supported "facts". 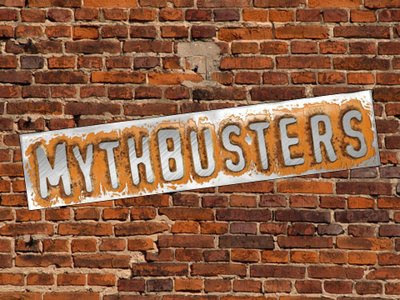 While I agree almost wholeheartedly with the "Facts" section, and agree too that the "Presumptions" (presumptive in that we don't have enough data yet to decide one way or the other if they're true) are indeed still presumptions, I'd argue some of the "Myths" have yet to be busted. For what they're worth, here are the myths, presumptions and facts and my thoughts occasionally interspersed therein. 1. "Small sustained changes in energy intake or expenditure will produce large, long-term weight changes". 2. "Setting realistic goals for weight loss is important, because otherwise patients will become frustrated and quit". 3. "Large, rapid weight loss is associated with poorer long-term weight-loss outcomes as compared with slow, gradual loss". 4. "It is important to assess the stage of change or diet readiness in order to help patients who request weight-loss treatment"
5. "Physical-education classes in their current form, play an important role in reducing or preventing childhood obesity"
6. "Breast-feeding is protective against obesity"
7. "A bout of sexual activity burns 100 to 300 kcal for each participant"
These are subjects that as yet remain unproven one way or the other. 1. "Regularly eating breakfast is protective against obesity"
2. "Early childhood is the period in which we learn exercise and eating habits that influence our weight throughout life"
3. "Eating more fruits and vegetables will result in weight loss, or less weight gain, regardless of whether any other changes to one's behavior or environment are made"
4. "Weight cycling is associated with increased mortality.."
5. "Snacking contributes to weight gain and obesity." 6. "The built environment, in terms of sidewalk and park availability, influences obesity." These are the nine points the authors feel there's sufficient evidence to be true. 1. "Although genetic factors play a large role, heritability is not destiny"
2. "Diets (reduced energy intake) very effectively reduce weight, but trying to go on a diet or recommending that someone go on a diet generally does not work well in the long term." 3. "Regardless of body weight or weight loss, an increased level of exercise increases health." 4. "Physical activity or exercise in a sufficient dose aids in long term weight maintenance." 5. "Continuation of conditions that promote weight loss promotes maintenance of lower weight." 6. "For overweight children, programs that involve the parents and the home setting promote greater weight loss or maintenance." 7. "Provision of meals and use of meal-replacement products promote greater weight loss." 8. "Some pharmaceutical agents can help patients achieve clinically meaningful weight loss and maintain the reduction as long as the agents continue to be used." 9. "In appropriate patients bariatric surgery results in long-term weight loss and reductions in the rate of incident diabetes and mortality."